Mother’s do everything for us – fact. So when it comes to a Mother’s day gift, it’s hard to find one item that can equate to years and years of thank yous. While flowers are lovely, they won’t be remembered in years to come; a meal out – or cooked at home – is both thoughtful and warming, but all that will be left are the memories. That’s where personalised gifts can go the extra mile, something that can be kept forever with words that have personally been chosen by you. 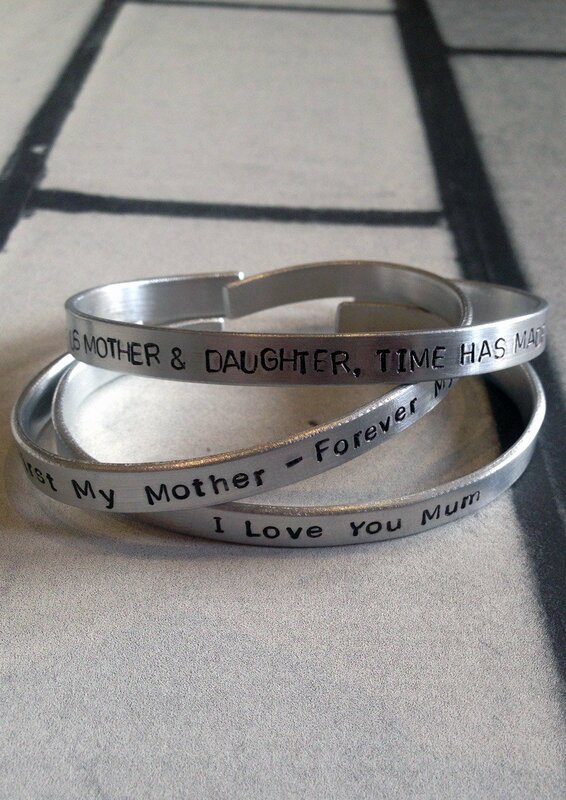 Check out these cuff bracelets from Lime Lace, classic silver bands that can stamped to show a message. 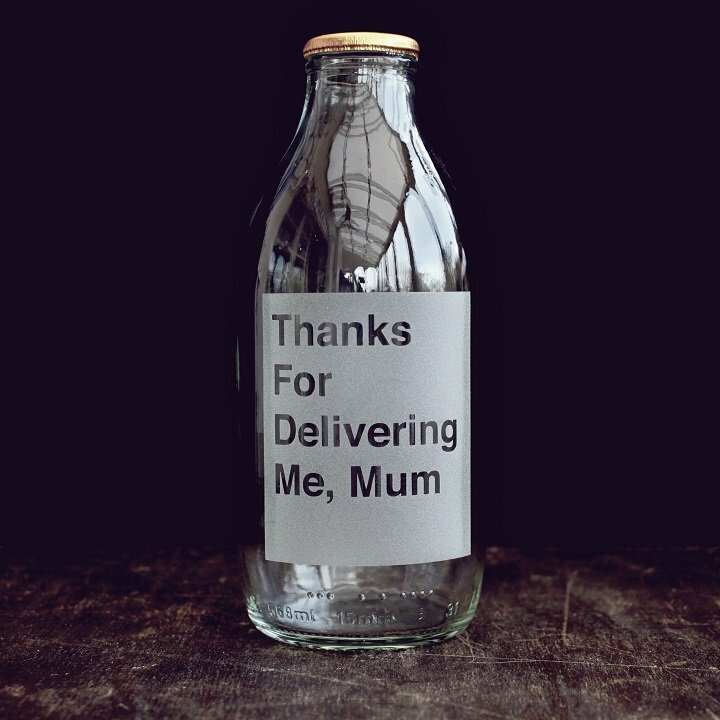 Or how about this quirky milk bottle, hand-etched with its funny and heart-warming message? 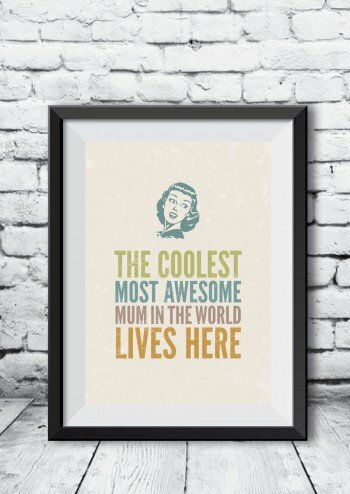 Is your mum cool and awesome? This retro print would look great in her hallway or lounge.